The Los Angeles Chargers had not reached the playoffs since 2013 and not a lot of stock was put in their chances for that streak to end in 2018, especially after the team started out 1-2. However, victories 11 of their last 13 games help propel Los Angeles to the top of the AFC West where they finished tied with the Kansas City Chiefs. The final two losses for the Chargers came against the Denver Broncos, a one point loss on November 18, and they were thrashed by Baltimore on December 22, 22-10 in Los Angeles. The Chargers earned victories over Seattle, Pittsburgh, Cincinnati, and a one point victory over Kansas City in Week 15. For the sixth season in a row, Chargers quarterback Philip Rivers threw for over 4000 yards. Rivers finish was 4308 yards rushing and 32 touchdown passes. He also tied a single-season high for quarterback rating at 105.5. 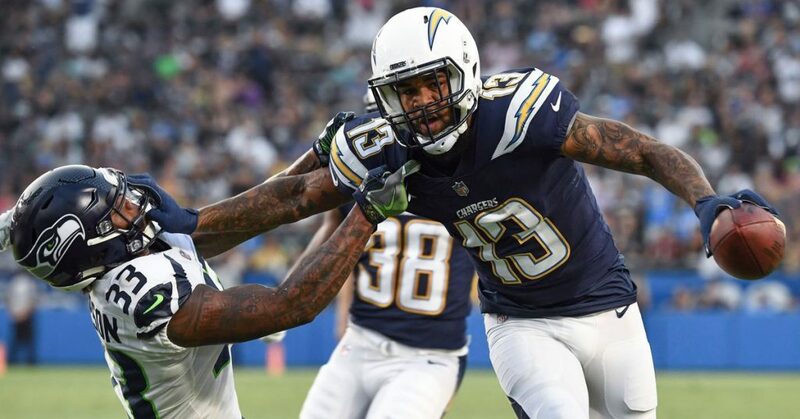 The favorite target of the Chargers quarterback was Keenan Allen who had 97 catches for 1196 yards and six touchdowns. Tight end Mike Williams led the team with 10 touchdown receptions. Los Angeles average 26.8 points per game while giving up 20.6 points on average. They averaged 372.7 yards of offense per contest while giving up 333.7. Seven players had at least 3.0 sacks on the Chargers, as the team finished with 38. The Chargers were not the only team suffering a playoff drought, as the Baltimore Ravens had not been in the playoffs since 2014. Baltimore had come out of their bye week at 4-5, then went 6-1 over the final seven weeks of the season, as a three point loss to Kansas City was there only lost during the stretch. That included victories over Cincinnati, Atlanta, Tampa Bay, Los Angeles, and Cleveland by two on the final weekend of the season, bouncing the Pittsburgh Steelers while sending Baltimore onto the postseason. Gus Edwards proved to be a true catalyst for the Ravens, leading the team in rushing with 718 yards and a 5.2 yards per carry average. Edwards took over the running back duties coming out of the bye week, carrying the ball 122 times out of is 137 total touches while gaining 654 yards in the final seven weeks of the season. Quarterback Joe Flacco had the worst season of his career statistically, throwing for only 2465 yards and 12 touchdowns. That led to Lamar Jackson taking over the quarterback role, and he was one of the primary reasons why the team made its playoff run. Jackson took over coming out of the bye week, throwing for 1201 yards and six touchdowns in the final seven weeks. He also rushed for 695 yards and five more scores, establishing himself as one of the best dual threat quarterbacks in the NFL. Baltimore average 24.3 points per game but was one of the best defensive groups in the NFL, allowing only 17.9 points per contest. They gave up 292.8 yards per game, while holding teams ground attacks 282.9 yards per contest. The Ravens offense averaged 375.1 yards per game. 4-1 ATS in their last five playoff games on the road. 4-1-1 ATS in their last six games in January. 6-2 ATS in their last eight playoff games. 7-0 ATS in their last seven playoff games. 5-0 ATS in their last five wildcard games. 7-1 ATS in their last eight games in January. The Baltimore Ravens enter this contest a 3.0 point favorites, well-earned after dominating the Chargers in week 16. Both of these teams enter red-hot and have a number of trends going their way, making it likely that this is going to be the best playoff game of the weekend. Where the big advantage lies is at the quarterback position. While Jackson is having a fantastic season, Philip Rivers has a dearth of playoff experience and has had success in the postseason. For that reason, we buck the odds and expect the Chargers to pull out the big victory. The road team is 4-0 ATS in the last four meetings between these two teams and the underdog is 5-1 ATS in the last six meetings. The total was originally set at 41.5 but has moved to 42.0. The total has gone over in five of the last seven meetings between these two teams, and we expect that to happen here as well. While these two defenses are allowing 38.5 points per contest, the offenses are producing 51.1 points per game combined. These are two groups that are significantly better than many will think, and this is why we expect this game to be over 42. Look for the Los Angeles Chargers to win, 27-24.